How reliant are your children on their digital devices? How much time do they spend staring at screens? For years, experts have been warning parents about the dangers of “screen time” to their kids. Most recently, attention has shifted away from a fear of too much television to fear of too much time on digital devices of any kind. 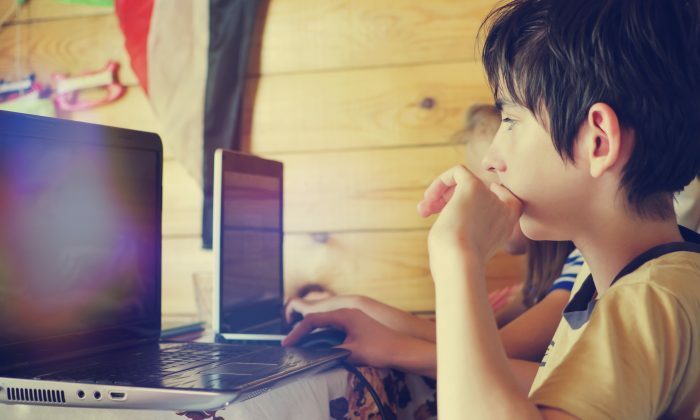 Of the many potential dangers of too much screen time, studies have pointed to obesity, eating disorders, sleep disorders, attention disorders, poor performance in school, a lack of empathy, poor social skills, depression, anxiety, and the list goes on. Despite the warnings, most studies show that kids are spending an average of 7 hours per day on electronic devices. Yes, 7—a day. Some studies show more. The American Academy of Pediatrics (AAP) has laid out official recommendations for parents to manage their kids’ screen time: No more than one or two hours per day for children and teens; no screen time at all for under 2-year-olds. The AAP’s recommendations go well beyond that, actually, with further ideas for parents to guide them toward a more reasonable relationship with technology. They include choosing “high quality content” and allowing for plenty of free play and outdoor time. There are some who don’t believe that any media exposure is necessary or appropriate for children. Waldorf Schools, for example, recommend the elimination of television and computer time for their students. Think that idea sounds extreme? This video from the Marin Waldorf School in San Rafael, CA offers some serious food for thought and is worth watching. “You’re getting into really dangerous water when you start talking about people’s screens,” Kim John Payne, M. ED. begins. Check your own screen behaviors. How often are you looking at your phone each day? Are you paying attention to your devices when you really should be paying attention to your family? Children model what you show them and get the message that they come second to your gadgets if priorities aren’t kept in check. Designate time each day where you yourself are screen free. Come up with other ideas. There are other things to do besides watch television and utilize your computer/phone/tablet/whatever new thing came out since I wrote this. Go for a walk. Play a game. Make something. Start a big project. Start a small project. Cook together. Get out into your community. Be a tourist in your own town. Do something nice for someone else. Throw a party. Invent your own holiday. Enjoy seasonal activities. Talk to each other. When you do let your children use their devices, make sure you know precisely what their looking at and limit the time they are online. It is very easy to lose track of time with this technology which furthers the addictive experience of these devices. Enforce limits. Explain your concerns about overuse of technology with your kids. Show them the research. Just as their addictive qualities and negative aspects sound familiar to you, as a tech user, they’ll resonate with kids of a certain age as well. Define the devices as tools, not pacifiers. Your kids are bored at the restaurant so you hand them their iPads. You’re going for a drive so you turn on a movie in the car. You need to cook dinner, so you flip on the television. If any of this sounds familiar, you’re using screens as pacifiers and sending the message to your kids that that is what they are for. But kids really don’t need these devices to keep them entertained at all times. They know inherently how to play and can find fun in unplugged activities as well. To further shift the thinking of your family, begin to define these devices as tools, not simply vehicles for entertainment. A child who is writing a story on his computer or drawing a picture on her iPad is interacting with the device in a much more productive and active way. Television can be a great vehicle to learn things from, accessing YouTube lectures or documentaries, and so on. Shift your thinking and that of your family and your kids will see these devices as tools with which to learn and create things. They’ll become producers instead of consumers and they’ll develop helpful skills for the future. Sleep is an essential part of our development and wellbeing.